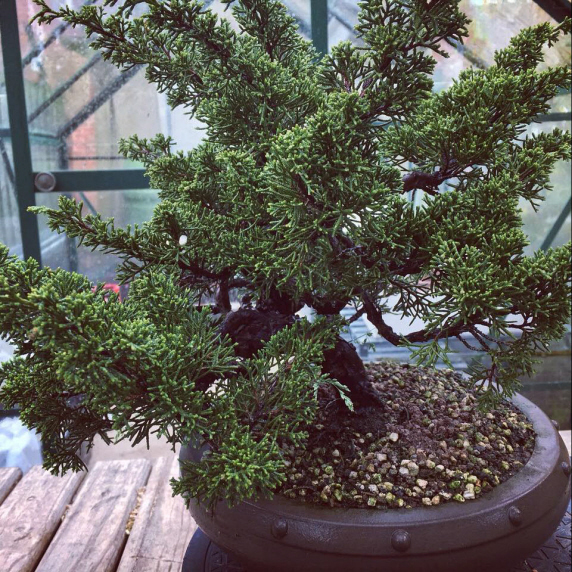 This Page is dedicated on keeping you all up to date with our latest news and things going on in our bonsai garden. You can also come here to see our latest arrivals that haven't yet been listed on the main website. Its been a rather fun and laid back week for a change, After promising myself a day off for ages i finally got a day and managed to visit the garden of Harry Harrington. It was great to have a catch up and a chat with the main man! We haven't had much time to work on many projects together recently so it was good to find the time to visit. Thor had left some pots with Harry for me to collect and we needed to restock on some B4ME stock so making the journey to see Harry came at a great time. 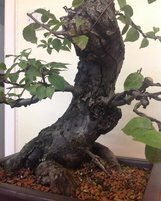 I also left with three nice little yamadori Beech trees collected by Harry that will be available for sale on the website soon. Having been working 7 days a week for the past 6 to 9 months it felt great to have a relaxed day spending time looking around Harry's amazing garden and talking trees. The trees in his garden are just spectacular and makes you realise just how much effort and hard work has gone into them. Harry grows lots of native material that he's started from scratch. Every time i visit i come back with some very useful knowledge that i often find myself referring back to after my visit. 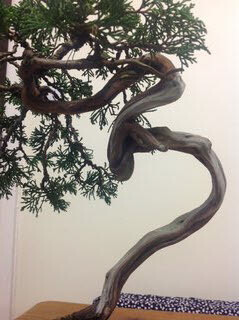 I also left Harry with one of our Itoigawa Juniper trees to have a play with. Needless to say the very next day he'd worked his magic and made a very nice little shohin from the material. This tree will be offered for sale in the near future. We're pleased to have our very popular Anti-Transpirant Spray S600 back in stock along with some much needed power carving bits. We have 8 new Thor pots available for shipping right away along with 15 new designs from Thor's new TS range of signature designs. If these aren't in stock right away one will be custom made for you and delivered in around 4 to 8 weeks. 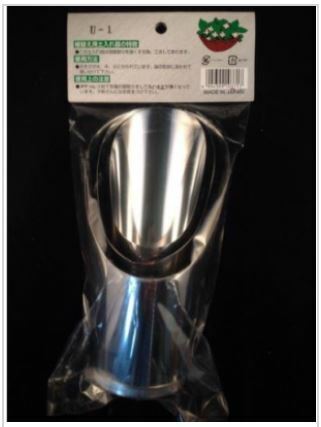 Shipping is included in the price of these pots. We have reference pictures of these signature designs although you should note that each pot is unique and will have its own characteristics. Please visit our special page if you'd like a pot commissioned. We have just added a range of very nice quality men & women's embroidered polo shirts. These have our logo and name embroidered onto the front and look rather trendy. They are available in multiple colours and sizes. They are made to order with next to no profit made on them. We are just covering our expenses and postage and are more than happy just to get the promotion and support from our regular customers. 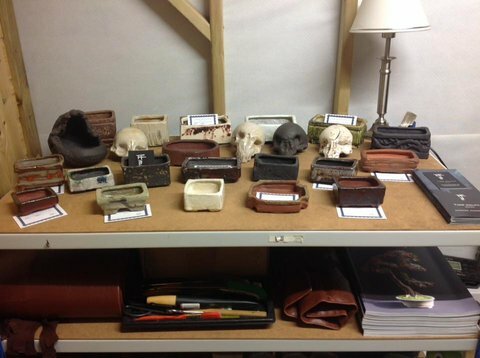 We are hoping to offer some other items in this section in the near future. One of my many favourite trees of the day. 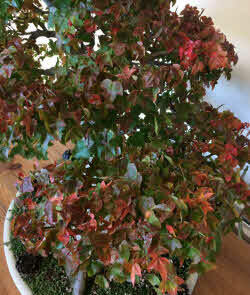 Harry's well known Beech (Fagus) planted into a lovely Erin pot. 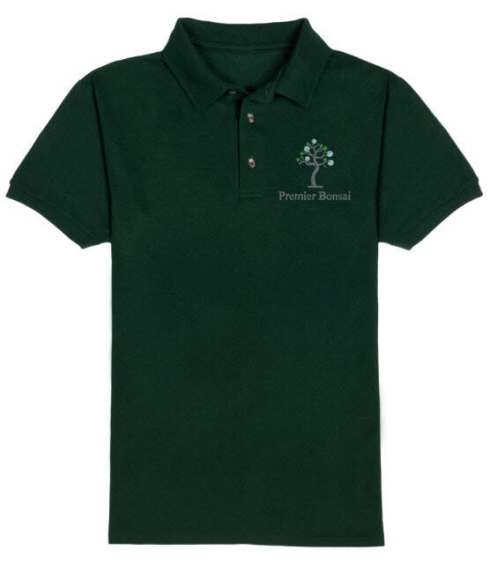 Men's polo in green with Premier Bonsai logo now available. 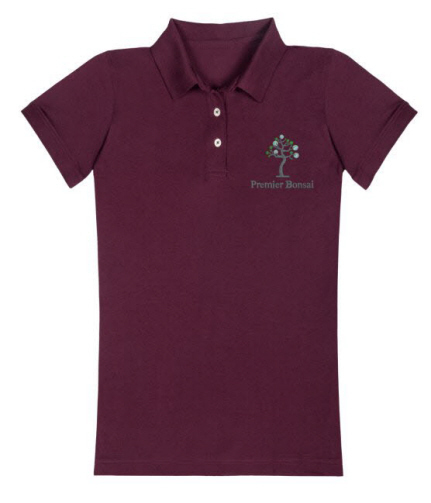 Woman's polo in Mauve with Premier Bonsai logo now available. 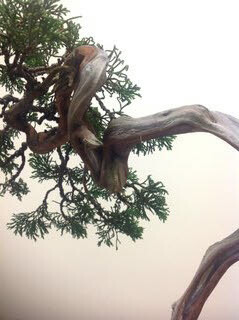 Before shot of a little Itoigawa Juniper styled for us by Harry Harrington. 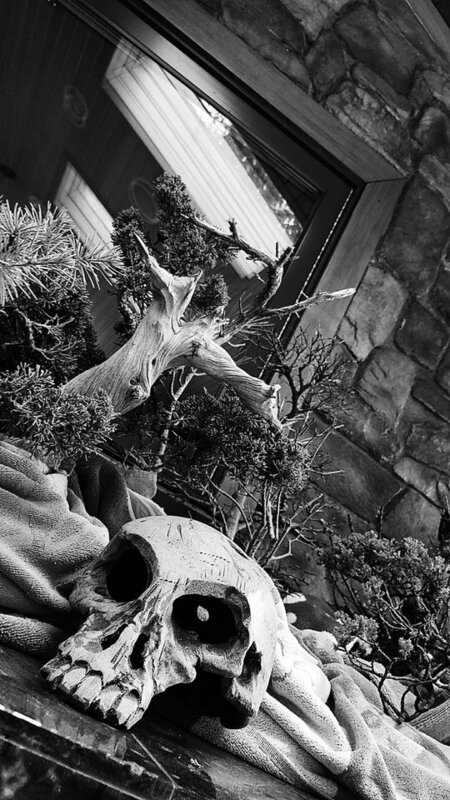 After shot of our little Itoigawa Juniper styled by Harry Harrington. New oval Thor Nidhogg design now available made to order. Stunning painted Nidhogg pot now in stock. This is such a busy time of year for us, it can be very difficult to keep up with everything. Orders, emails and general tasks can be rather overwhelming at times. Please bear with us if we don’t reply to emails right away and if for any reason your email slips through the net please don’t be afraid to resend it as some do get overlooked in the piles of inbox messages we get daily. Working long and unusual hours allows us to keep on top of things, just about anyway. We’re about midway through our building project and are hoping to be moving home and nursery within the next 8 weeks or so. We aren’t looking forward to the actual move but are looking forward to the point when we are moved and settled. I didn’t realise just how stressful and time consuming renovating a home and running a business at the same time would be, Its been a roller coaster with lots of obstacles and setbacks but we are well on the way now. With it being spring we’ve inevitably had a huge amount of trees to repot, our own and customers. 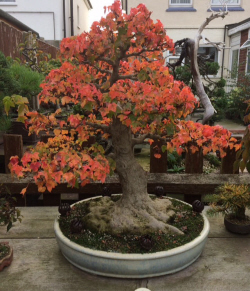 We could have done with a year break from repotting but bonsai doesn’t stop for anybody so we just had to grit our teeth and get the jobs done even if it was silly hours in the morning. We have some great new pots in stock that started flying from the shelves as soon as they were listed for sale. Some larger size pots as requested by some customers. A few weeks ago we took delivery of new indoor trees. Since then we have given them all some tlc to give them the best start in life. 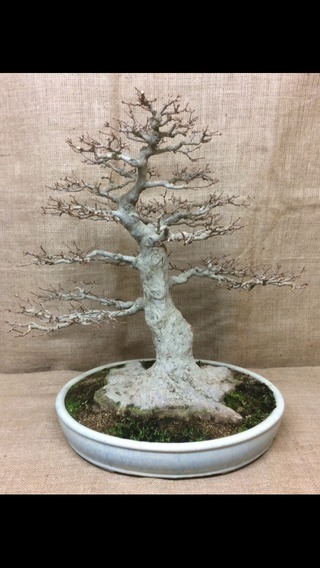 Our indoor bonsai section now has a nice little range of Chinese Elms after lots of requests from you guys. 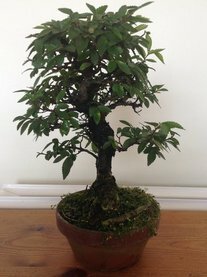 We will have even more coming in the coming weeks so check out the indoor bonsai page for or latest updates. The trees you see are the trees you get. 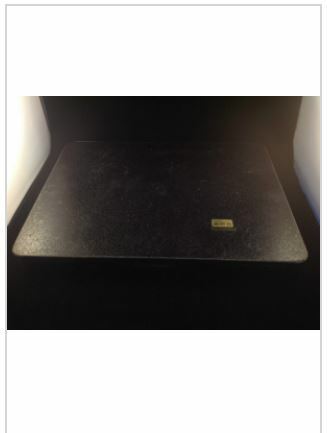 Each has at least 4 pictues so you can really see what you’re buying. 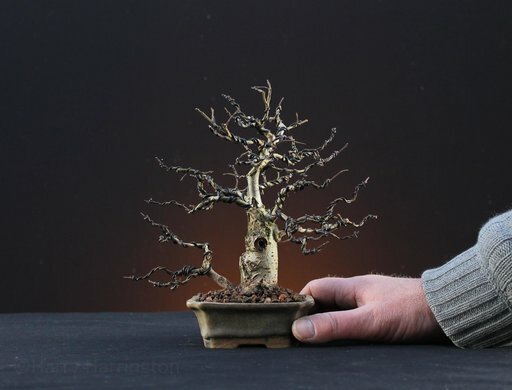 We have put together a new article called ‘Chinese Elm (Ulmus Parviflora) Care Guide’ each little Elm sold will come with one of these guides to help you on the way with your new little tree. 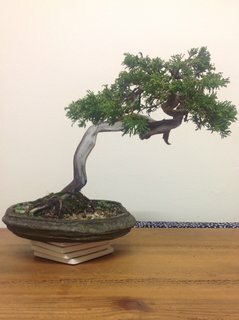 What makes our indoor bonsai different from most others available for sale? 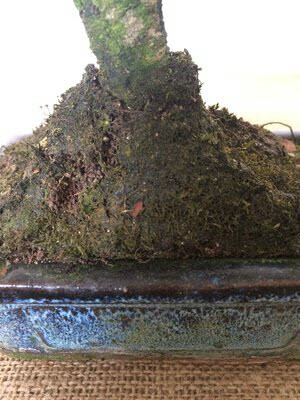 Our indoor bonsai have had a little care and attention go into them before being offered for sale. Why is this the case? We do this to try and insure a higher success rate with beginners. 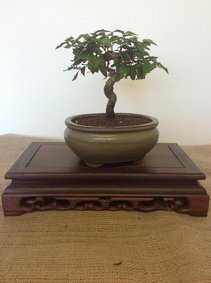 Most indoor bonsai available for sale are planted unsecured in boring generic pots with no potting mesh installed and are usually planted into soil that isn’t beneficial for the long term health of the plant. The soil that these little trees are imported with can hold more moisture than necessary and break down very quickly, much like normal potting soil you use for planters etc…. On the other hand when this type of soil is compacted and broken down it can make it difficult for water to penetrate the soil surface creating dry pockets or even completely dry soil a few millimetres below the surface giving you a false sense of security in thinking your tree is well watered when in fact it’s not. These trees are planted into this kind of soil for when they are imported from places like China & Korea. This soil is perfect for its journey overseas but should be replaced at the nearest opportunity. We realise this can be daunting for beginners so we thought we’d take the worry away. 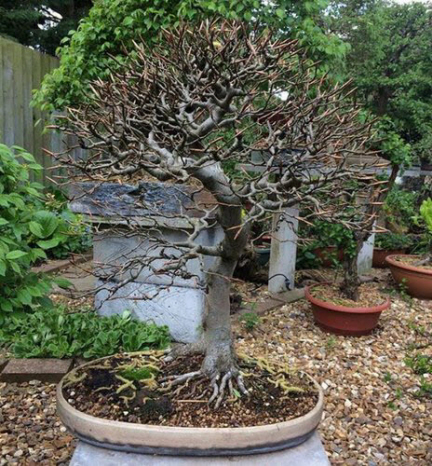 Every tree is planted into a brand new bonsai pot in a high quality soil mix that will hold its structure for much longer allowing the roots to breathe between watering and allowing you to learn about your bonsai tree before you have to perform any major tasks like repotting. 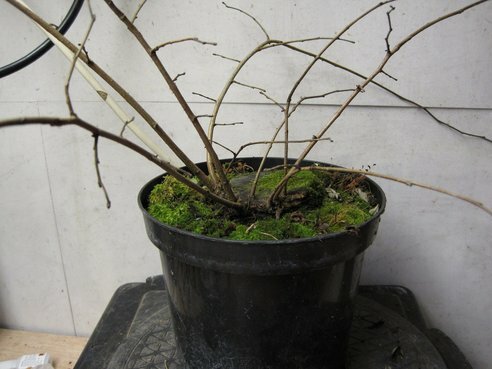 You tree shouldn’t need repotting for between 1 and 2 seasons. Having a very open and gritty soil mix gives you much more control over the moisture levels and makes over watering much more difficult (Great for beginners). It also means that these trees can dry out quicker and feed can get washed away quickly so you will need to bare this in mind when deciding how to water and feed your little tree. 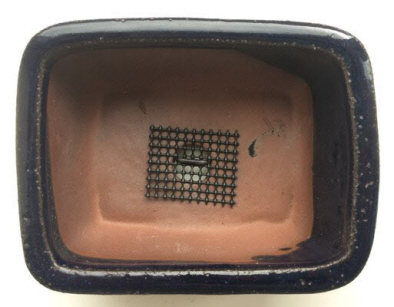 Our indoor bonsai trees come with potting mesh installed to insure the drainage hole doesn’t get clogged and so that any excess water can escape from the bottom of the pot and allow fresh oxygen to enter. 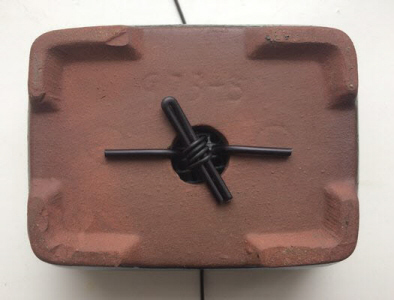 It’s important for trees to be anchored into the pot so each tree is secured into the pot with 1.5mm aluminium wire. Most trees like these that get sold can be lifted right out of the pot but with a very open and gritty soil mix like ours this isn’t possible so it’s best to anchor the tree for stability. If you look on the underside of the pot you will see how we have anchored these trees to a pot with just 1 drainage hole. 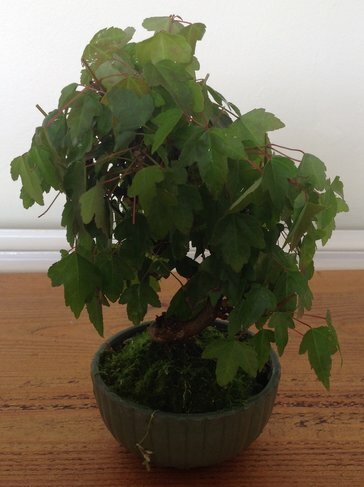 All of our indoor bonsai trees have been allowed to rest and recover from repotting before being offered for sale. 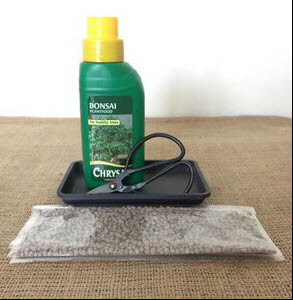 Our indoor bonsai trees come with a basic care guide that should help you on your way. We also provide a small top up bag of soil in case any is lost on its journey to you or in case any is washed away when first watering. 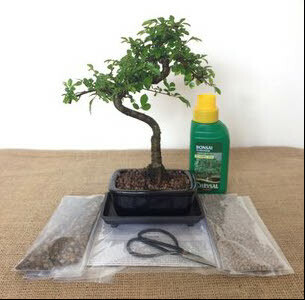 We’re also offering an optional bonsai maintenance kit containing a plastic drip tray, a bottle of liquid feed or a bag of our slow release Naruko outdoor feed and a pair of fine trimming scissors. Simply choose your option in the drop down menu. We recently commissioned a Thor pot for one of our customers in the USA. With an 8 to 10 week waiting list he ordered just in time to get the pot for repotting so bravo for the forward planning. The pot is now ready and so we thought we'd share some of the pictures with you guys. 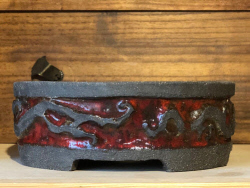 The customer requested an 8 inch round nidhogg in a lava black clay with Thor's well known fire glaze. As you can see from the pictures the result is spectacular. Every custom piece is a little different so the pictures we use are for reference only. We're very pleased to say the pot is now on it's was to a happy customer. We can't wait to see a tree planted inside. This hand sculptured pot depicts the snake dragon Nidhögg who, according to Norse mythology, guards the roots of the world tree Yggdrasil. These pots are made free hand without any templates. 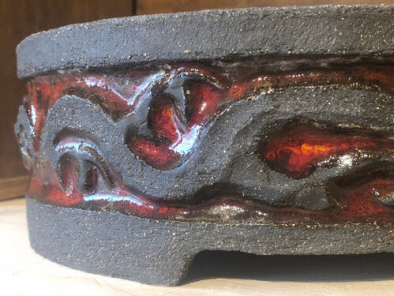 If you'd like a special pot commissioned then please visit our special page were you can order from our catalogue of various designs and sizes. Or contact us to discuss your needs. Wow, i didn't realised our blog hadn't been updated since just before Christmas until i came to the page to write this! It's been somewhat of a hectic month and a mixed start to the new year with lots of great and exciting things going on and some really sad and heartbreaking events. Probably best to start with our sad news. On December the 4th we found out one of our much beloved pooches Daisy had lung cancer. At first we thought it could have been an infection but as the mass was studied over a few weeks we soon realised it was indeed cancer. We had two options. One was a very invasive surgery that gave Daisy a 50/50 chance of surviving the surgery let alone the recovery. The other option was to make the most of the time we had left with her and let it run it's course and maybe see up to 1 more year with her. With Daisy about to turn 10 we really didn't want to risk the invasive surgery and possibly loosing her even earlier that we would have otherwise. 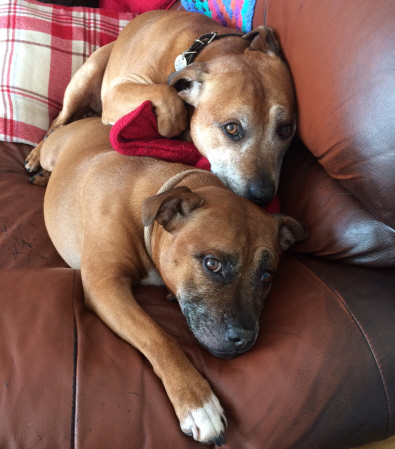 Anyway with our choice made we made the most of the precious time with both Dexter & Daisy over the Christmas period. 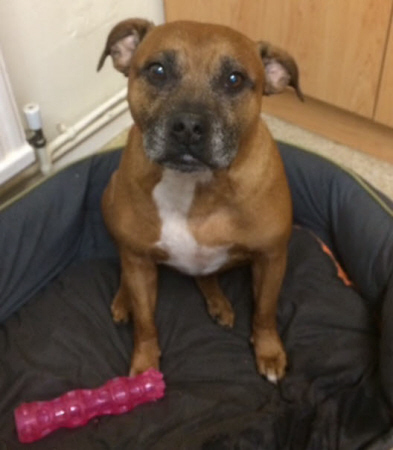 Christmas came and went and it was then both dog's big 10th birthday on the 6th January. Needless to say they were both spoiled with lots of new toys and treats. All the family had a great time with the dogs over this period, it was really great. Sadly as the month went on our little Daisy slowly started to suffer. About 10 days before, we knew we wouldn't have much more time so we really made an effort to spend lots of time with them, take them for walks and of course spoil them rotten with treats and lots of cuddles. On the weekend starting the 19th January Daisy really started to struggle. She was only eating from my hand and drinking very minimal amounts of water. Her breathing had also deteriorated and walks were out of the question. It was heartbreaking to see our beloved Daisy like this so the gut wrenching decision had to be made and on the 22nd January at about 11 20am we lost our Beautiful dog Daisy :( One of the hardest parts was the thought of her leaving her brother behind. They were incredibly close and had been together since birth. Now a week on i feel Dexter (Her brother) is feeling her loss and not quite his normal self. I don't think he's suffering terribly but i can notice a little difference in him. Hopefully lots of cuddles & treats should do the trick! It's been a much quieter house without her presence and we thought Dexter was the louder of the two. Time should help heal the pain but i know we'll all always miss our little Daisy May. While we've been dealing with our poorly Daisy and various other family issues we have also had some other rather exciting things going on in the background. We had recently taken the decision to expand the business by moving to a new more suitable premises where we can live and work closer with our trees hopefully allowing us to focus 100% on our goals . Our old garden will still be in full use but we will be moving the bulk of the business & HQ in the next couple months after the painstaking work has been completed of course. We have been faced with a complete renovation of our new living & working quarters including a full re wire, rebuilding and fixing previous builders blunders including internal wall rebuilds and patches. Re boarding and plastering throughout. New windows, doors, kitchen & bathroom and just about everything else you could possibly think of. It has been a monumental task and lots more stressful than I first expected especially while trying to build and keep the business afloat. On the upside we will have a nice practical garden with space for lots of benches and space for some workshops! We will be converting our garage into a small workshop and hopefully building a larger second workshop to the side of the garage. 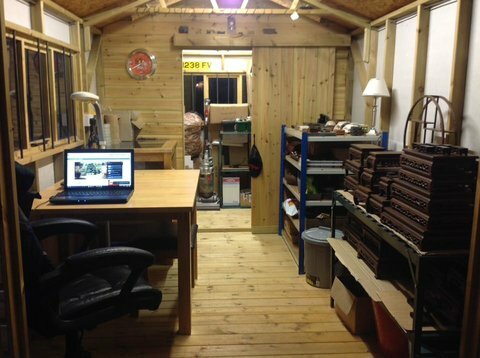 Having the chance to also keep our original garden & workshop really gives us the chance to expand and grow the business further helping us get closer to our goals. Now if you've been wondering why we haven't had many new trees recently this has been the reason. With so much other work going on we didn't want to over load ourselves with trees we couldn't properly look after or care for while managing the project. Once we've moved the bulk of the business & home we will have lots of room for new trees and material. We're so pleased to now have the space we have to work with. Our new HQ is about a 2 minute drive from our current location so if you have visited us in the past don't worry you should still be able to find us! Having made a swift recovery from the dentist we've been hard at work packing your orders and shipping them out ready for the big day. We are now officially closed until the 8th January 2018. Orders can still be made as normal and we'll manually send invoices to let you know we've received your order. As we'll be pottering around the garden and workshop over the holiday we'll probably end up shipping the odd order between now and the 8th of January to keep things flowing and help with the size of the new year mountain of parcels we'll inevitably have. Please let us know if your order is urgent and we'll see if we can get it out any quicker for you. Lastly we'd like to wish you all a wonderful Christmas & New Year. Thank you all for your support throughout 2017. We couldn't survive without you guys. 2018 is set to be very exciting for us and we're looking forward to seeing what it brings. 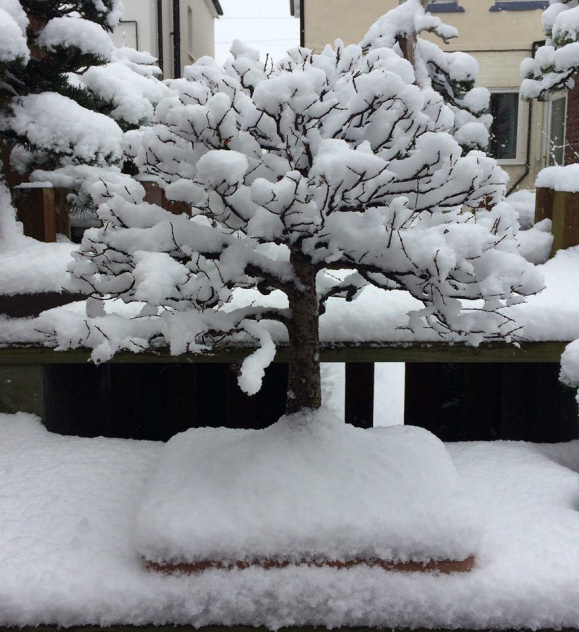 One of our Zelkova's looking rather beautiful under a blanket of snow last week. Wow what a week that was! I'm quite pleased to see the back of it to be honest. Having been suffering with a bad tooth for the past few weeks it's been difficult to focus on the jobs in hand. Last week things got really bad. I think the pain in the surrounding areas were worse than the tooth it's self. I had major ear and jaw ache. I was in agony and almost ready to get the jin pliers out myself! Luckily I had an appointment booked on Monday to get the thing taken out. With it being me it ended up being a surgical removal where the dentist used the drill to bore a hole around the bone of the gum to gain some grip to the tooth. How lovely that was. I was left a nice bruise on my jaw and looked like I'd done a few rounds. Still I'm back to my normal self now and feel great once again. While I've been suffering the show had to go on so i still managed to take delivery of some new stock and replenished a ton of stock that was sold through November. Arranging and sorting that took a while and a few mistakes were made on my part as it's been difficult to focus. 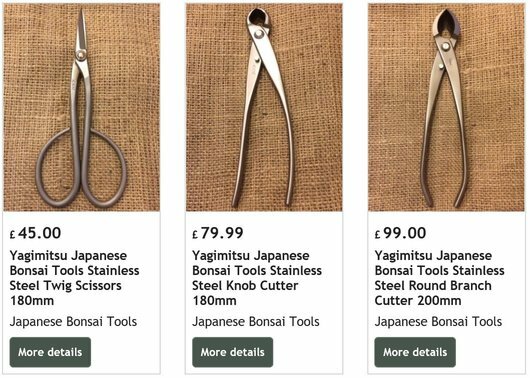 We have some new Yagimitsu bonsai tools to add to the catalogue that are really fantastic. The quality of these tools are really nice. 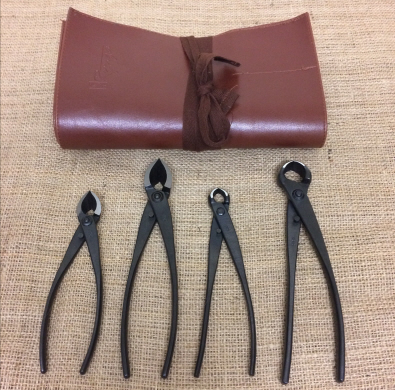 We have put together a few new tools kits that are now available to order. We have a few Ryuga kits that come in a few different options. 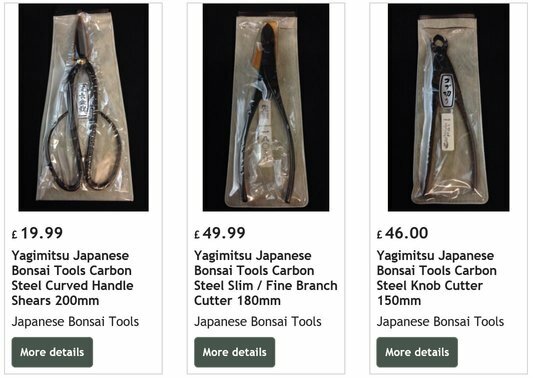 We have also put together three Yagimitsu tool kits as these tools are fast becoming popular. We are hoping to put a few more kits together soon. 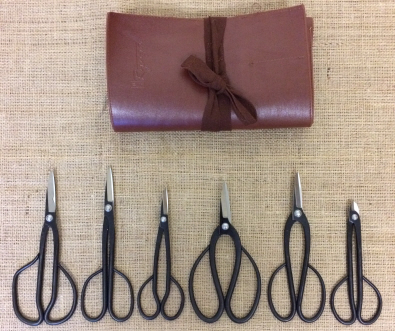 If you'd like a kit tailored to your needs then please get in touch and we'll see what we can do for you. We are out of our most popular soil mix at the moment but are expecting more very soon so keep your eye peeled as we'll be restocking any day now. We have managed to source a brand new soil mix that's just become available. Kurodama is a mixed soil ready to use right out of the bag. It's a finer grade mix so will do well for your shohin trees as well! Bonus. The mix allows for plenty of water retention while allowing excess to drain from the bottom of the pot. It's a very open and gritty mix that also looks very attractive. This will hold it's structure for a long time and won't break down in the same way as some other soil mixes. As some of you know we manage and maintain our website 100% ourselves. This is a huge responsibility especially if anything goes wrong. Well last week things did go a bit wrong. We came very close to loosing the website and all of it's content! Our most important files are usually backed up online for extra safety, just in case anything goes wrong with the master files on the desktop. So when the desktop decided to die last week we didn't think much of it as we had our online back up. Or so we thought! As it turns out our online back up's had been corrupted and hadn't been syncing correctly for some time. This really wasn't good news as it meant the only chance we had of recovering the important files was from the hard drives on the desktop that had just decided to die. From past experiences we know that recovering data from broken drives can be insanely expensive and there is never any guarantee that any data will be recovered let alone the very specific ones we needed. If we couldn't recover the files we would have had to re design the website from scratch and add every single product one at a time. Needless to say this would have taken a considerable amount of time and the website would have been down quite a long time resulting in huge losses. If you're reading this now you've probably guessed that that we did manage to recover the important files from our broken desktop. After a couple of days fiddling and replacing parts we finally gained to access the files. This was a huge relief and has made us rethink our strategy for guarding the safety of our important website files. We had a few days of updates to get sorted which took a while but apart from that everything worked out with no ill effect to the website or service. The scare was good in a way as it's made us realise just how valuable the website and its content is to us. We put in countless hours every week to keep it going but it can still be easy to forget just how much time and effort on a whole it has taken to get to this point. The thought of loosing it all really made us think. Anyway enough of our boring tech failings. We've been very busy since our last blog update. Orders went through the roof during October & November. Lots of trees, pots and other goods have been flying off the shelves giving us a great opportunity to seek out some new items to stock. We have lots of new trees, pots and other goods in the pipe line so keep your eyes peeled if you're looking for Christmas. We've sold out of some our most popular soils but are expecting a delivery of more very soon. It seems we underestimated how much soil we'd need to last us until the new year. 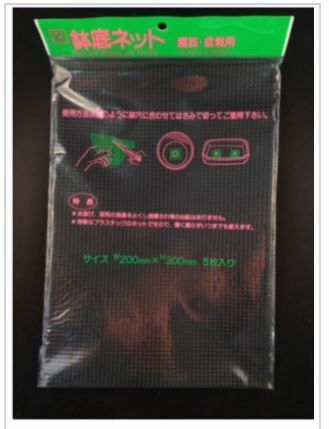 We are expecting more sieve sets, Japanese tools and dry goods as well. If you don't already know Thor has been spending the past month in Japan working with Shuuhou at his famous Tokoname studio. Thor has been writing some articles while on his journeys through Japan. We are pleased to have a couple in our article section. 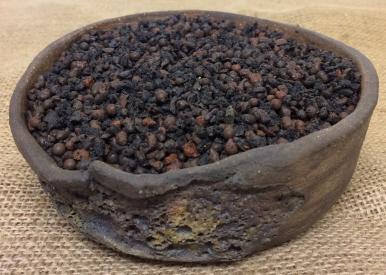 The first is a fascinating piece called 'About Tokoname Clay' and goes into detail about the processes used in Japan when mixing different clays for use in making bonsai pots. 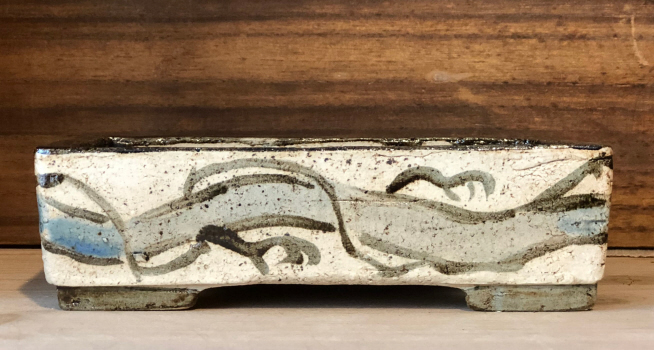 The second piece is called 'Tokoname Glazes' and goes into some details about the traditional glazes that are used in Japan. If you're into pottery you are sure to find these interesting and worth a look. We'll hopefully have some more articles coming soon so keep an eye open in our article page. 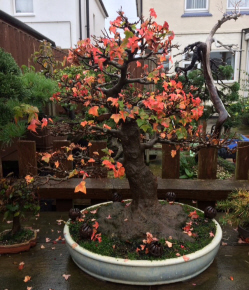 Finally we'd like to share the Autumn progression of one of our Trident Maple trees. The colours produced this year were absolutely breathtaking. It's nice to now see the inner structure of this tree again. It gives us a good chance to inspect the years growth and development. If you'd noticed our website was down between the 12th and 15th October don't worry we were just performing some general maintenance to our servers. Sorry for any inconvenience caused, we are pleased to be back up and running again. 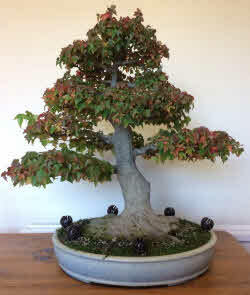 We're also pleased to have the autumn collection of Erin bonsai pots now available to order. 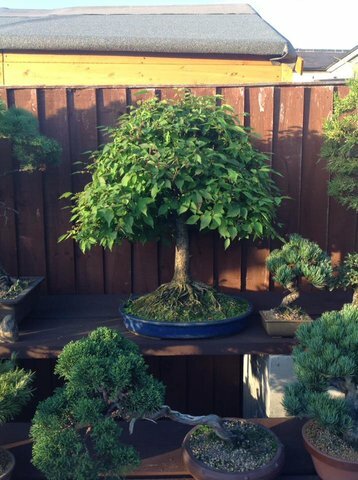 These pots have proved to be very popular here at Premier Bonsai. We've been looking forward to receiving this batch for some time now. Glyn & Victor have a way of keeping things fresh insuring a huge verity of pots to choose from. Each and every pot is unique with it's own characteristics and features. 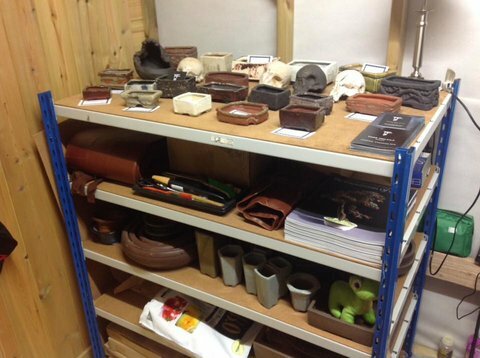 We have a huge selection available in all shapes sizes and glazes. 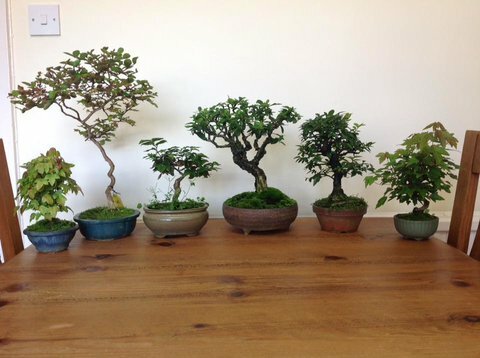 As usual Glyn & victor haven't disappointed us with this new batch of bonsai and accent pots. Worldwide shipping is available. With Autumn fast approaching we're finding more and more jobs to get done around the garden and with all the orders coming through this month it's been tricky keeping up with everything. I've found myself working 12 and 15 hour days over the pact couple of weeks. I love it though and wouldn't have it any other way!! Thanks for all your support guys. There are also a couple of new Shohin / Mame Display Stands available for sale. These have proved to be very popular in the past so we thought we'd try a few different sizes. You may have notice a few changes to the website over the past few days. We've been working very hard on a series of updates and improvements. Don't worry though the changes are subtle so you'll still find your way around our site the same as before. The journey should be a little better though. We've just added a new Article Page that we are hoping to grow in time. We have five small articles listed at the moment. Some of the articles will be by ourselves and some by guests. 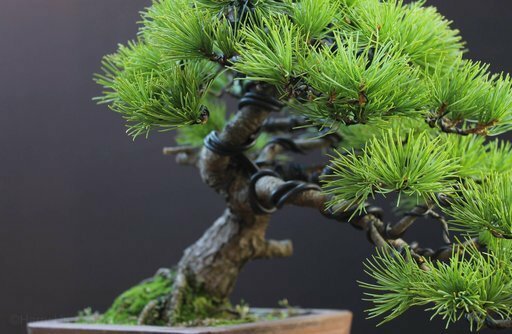 We have a General Bonsai Care Guide that can help beginners on some of the basics of keeping outdoor bonsai. 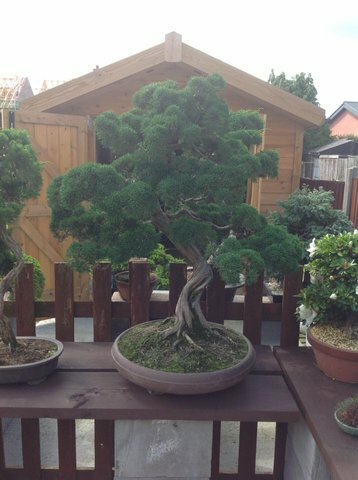 We have a great piece by the guys at Erin Bonsai regarding Choosing The Right Pot For Your Trees. 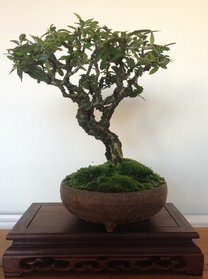 This article is very informative and covers all aspects to consider when choosing a bonsai pot. There's a small article by ourselves about styling one of the many Raw Material Junipers we offer for sale. There are also a couple of other articles you might find interesting. You will now find some products in two different categories. The reason for this is because some products do fall under two categories. 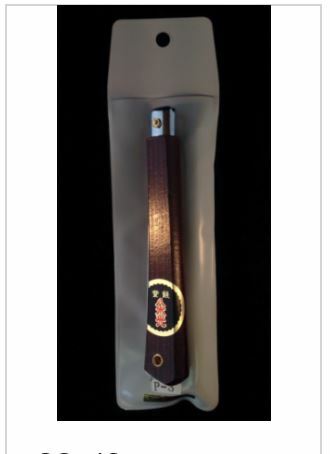 For example, we sell Ryuga branded tools. 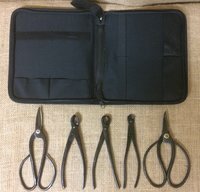 Ryuga might do some repotting tools so in this case those particular tools will fall under Ryuga Bonsai Tools & Repotting Supplies. The reason for doing this is to make it easier for beginners to get an idea of what tools are used for without having to click into every single listing. In case you didn't realise you can also find us on Facebook & Instagram. Stay up to date with the goings on in the garden. Get heads up on new stock arrivals. Our website is also compatible with our Facebook page so you can have the exact same shopping experience when browsing our Facebook page. 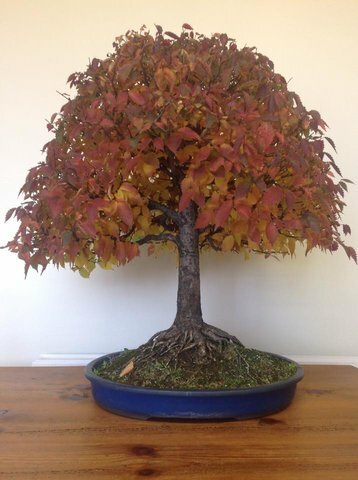 Our Instagram page is focused on pictures of our trees and new stock arrivals. You can also contact us through our social media accounts. Click the links below for more information. Great video by Thor Holvila showing some of the processes he uses when building his bonsai pots from slabs, without any use of moulds or slipcast. Very interesting video showing the pinching technique Thors uses when making his beautiful bonsai pots. As you can see the results are endless. Click Here to see the latest Thor Pots we have in store now. Cant find a suitable pot for your tree? Why not have a Custom Made pot by Thor Holvila. We have many different designs available in all shapes and sizes. Although it's generally a slow time of year in the garden we've still had so much work on the table and with autumn just around the corner it's been good to keep on top of things as autumn is a very busy time of year for us. 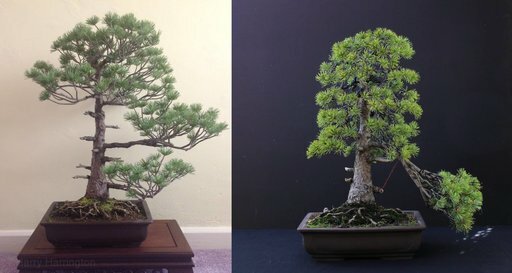 This is the time of year we like to work on species like Pines & Junipers. 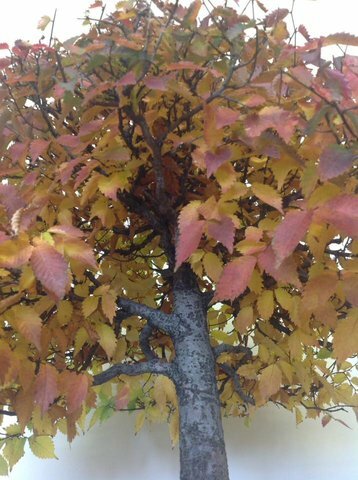 Late autumn is also a great time to check out the structure of your deciduous trees and to get ideas on any major structural pruning you want to do during late autumn / winter. It's been a great growing season with most trees putting on lots of new growth. We haven't had too much rain so controlling the moisture levels in soil has been much easier than previous years. We've had lots of new trees passing through the garden and some moving so fast we haven't even had a chance to list them on the website. This is also the time of year we get lots of emails from concerned Pine owners. This time of year pines naturally start to shed previous years needles. They sit further back on the branch, closer to the trunk. They turn a bright yellow colour and fall from the tree with ease. This is a perfectly normal thing to happen this time of year. It's a good idea to run your fingers through the foliage to remove all of the yellowing needles to allow more air and light into the tree. If your current years needles turn yellow or brown this isn't the same as the tree shedding previous years needles and can be the indication of a major problem. 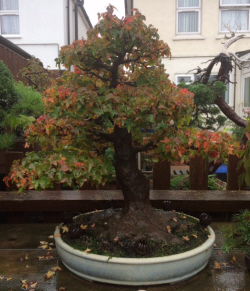 If you haven't seen yet we now have a new up and coming potter on board with us at Premier Bonsai. Tom Butterworth is a UK based potter and has been making pots for around two years. Tom is making some really unique pieces in many different styles. 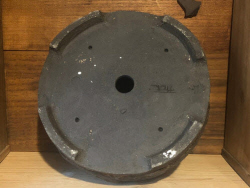 Pots are priced very reasonably and we have a good few that are available to ship right away! Hi guys, a long time since the last blog update i know but we've had so much going on over the pact couple of months. It's been a very testing and difficult time indeed. Loosing my great auntie Jean has been heart wrenching. This amazing lady has been like a grandmother to me for my whole life. Her passing was very unexpected and sudden. I saw her every day over the past couple of years to help my mother care for her. She loved and supported Premier Bonsai from day one. 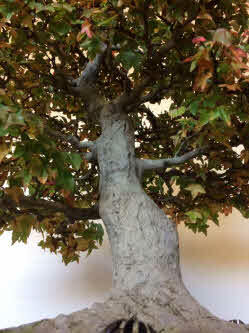 She was truly fascinated on the subject of bonsai and would always ask detailed questions about what was done and why. Whenever i got a new tree in I'd always take it around to show her and she was always astonished at the beauty of my little trees. In the three years we've been running the business we haven't taken one single holiday and the shop has been open for the whole time!! 3 years straight. I very nearly closed shop for a couple of weeks break to get things in order and generally have a rest and get my thoughts together. However I know what my auntie would have said so i kept going and to be honest having all of your orders and emails to sort and the general tasks of running the garden have done me the world of good. So thank you to everyone for your orders and helping me keep busy at this very difficult time. It's much appreciated. The truth is I'm at my happiest when I'm in or around the bonsai garden weather its tending to the trees, updating the website or packing and shipping your orders. With everything going on it's amazing some of the new products and trees we've still managed to source and get listed on the website. 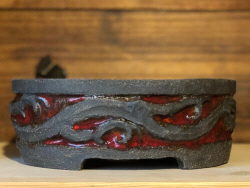 We have our usual steady flow of new Thor Pots that we are now offering free worldwide shipping on!! as well as a huge Skull pot that was missing in the post for 4 months. 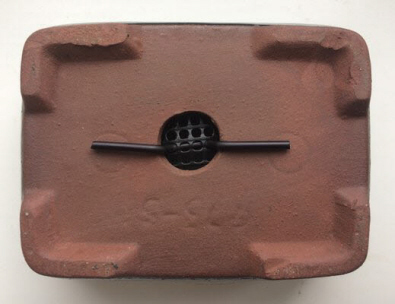 We've also had over 40 new Erin Bonsai pots that are available for sale now. 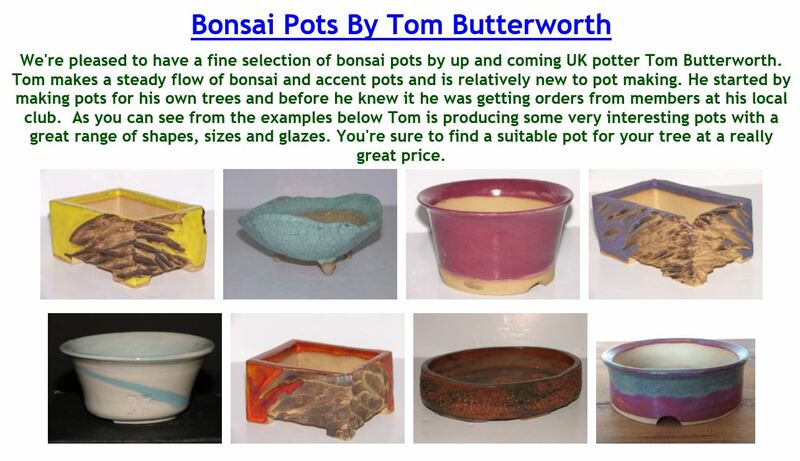 We have also discovered a new potter by the name of Tom Butterworth. This guy has been making pots for around 2 years and is already producing some truly beautiful pots. One to look our for in the future for sure. We will be showcasing a few of his pieces over the coming weeks so look out for the new page dedicated for his work. We've also had a ton of new trees and material come in over the past couple of months. We haven't had the time to promote these so a good few (and some of the best) are still available for sale. 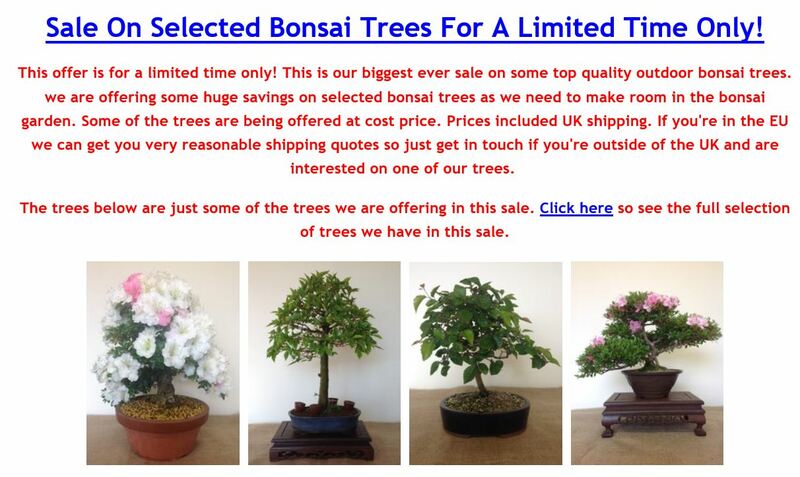 We have also added a small selection of indoor bonsai by request of some of you guys. 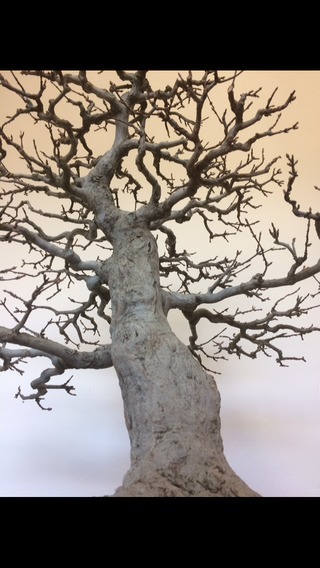 We now have a much bigger selection of metal bonsai sculptures made by UK artist Matthew Gollop with more to come in the future. 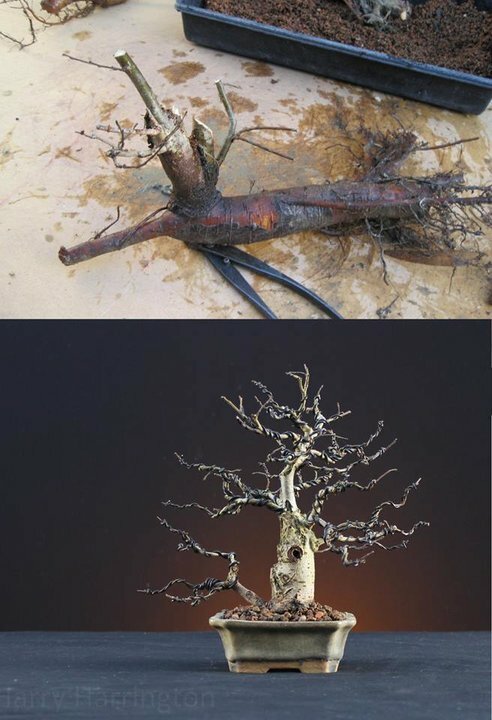 These amazing little trees are hand crafted and made by hundreds of strands of wire. Some new designs with glass beads are also now available. 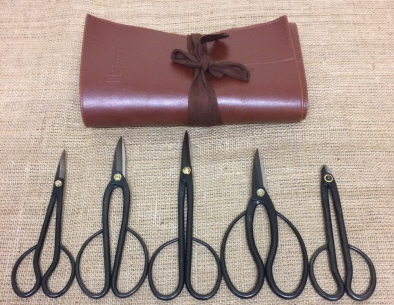 These make great gifts to loved ones if they aren't so green fingered. 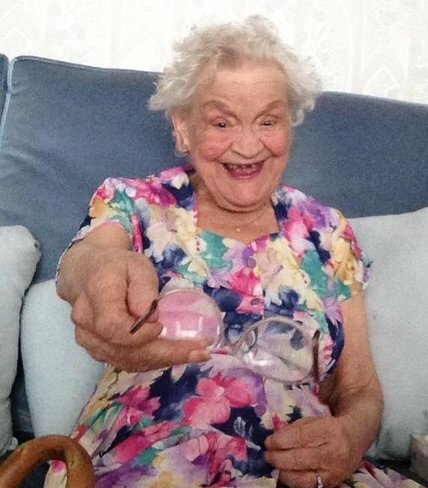 R.I.P Auntie Jean 1929 - 2017 A truly amazing and loving lady that led a very interesting and unique life and will be missed more than she could have ever known. It's been 7 week to the day since our last blog update. I'd almost forgotten we even had a blog page. To say things have been busy would be a huge understatement. There has been so much going on in the garden over the past 7 weeks and it's been difficult keeping track of what day it is. We've managed to source so many new products over the past few weeks. We've also taken delivery of lots of new trees with more to come in the coming weeks / months. 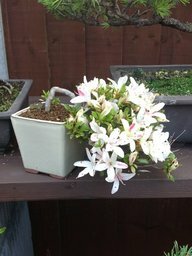 We are very pleased to now be stocking Erin Bonsai Pots. The first batch arrived a few days ago and they are already proving to be very popular. As you will probably know we also use them for our own trees. There are so many options when choosing an Erin pot for your tree. 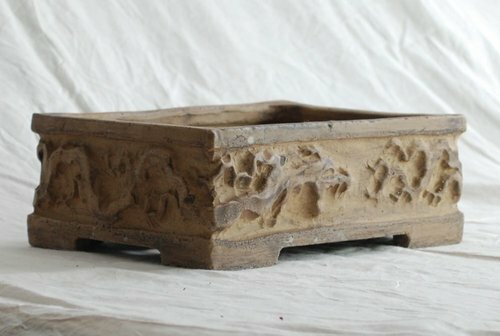 We personally love this quality about these amazing unique hand made bonsai pots. Be sure to check out the page regularly as we already have a hand full in the bag for the next batch! 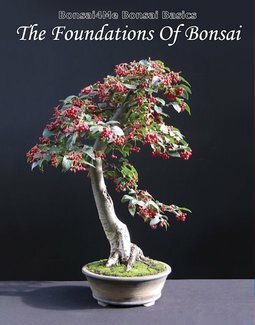 We've also added the B4Me page where you'll find some great products used and approved by Harry Harrington, the author of the highly sucessful and very popular bonsai books Bonsai Inspirations 1 & 2 & The Foundations Of Bonsai. 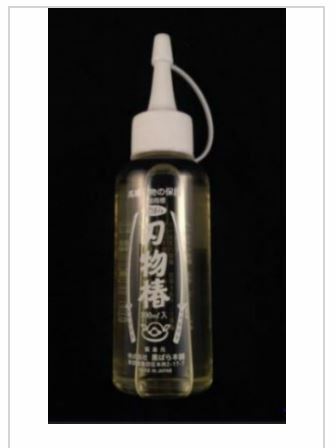 On the page you will find items including Black Deadwood Hollow Stain, Bonsai and Wood Carving Tool Cleaning Solution and Anti-Transpirant Spray S600 that is very useful for collected or sickly trees. Click the link for more information about this great product. It's been another busy couple of weeks for us here. We've started some of the repotting and have many other trees in the pipe line. Lots of the usual cleaning and tidying in the garden as we prepare for the coming growing season. We've been packing and sending your orders each day and getting through all of the related paper work. We've managed to get some major website updates & improvements started that are already making the website easier to use and flow quicker and better. We've taken delivery of lots of new items and have finished preparing them for sale. We've replenished some stock that had been out for a while. Some of the new items we have in are really great. 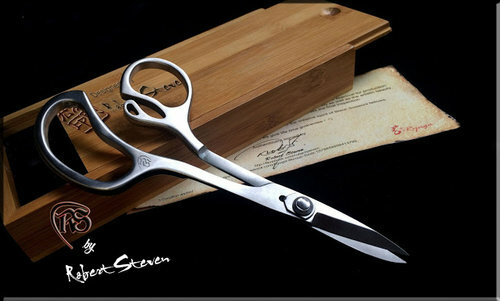 The new Ryuga Rs shears are simply amazing and are living up to expectation. We have been testing them out for a few days now and are very pleased with them. 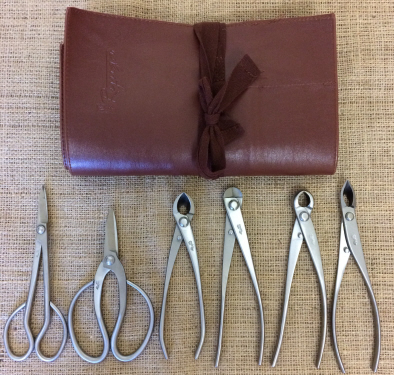 Along with the new RS shears we also have two new jinning tools, a new carving tool. 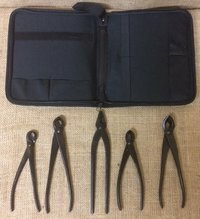 Xl trunk splitter, Ryuga angled jin pliers, 3x branch bending tools, new pots and a few more bits and pieces. 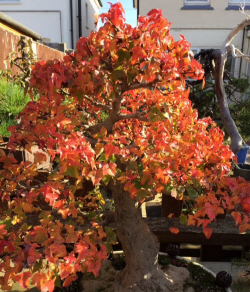 All being well we should be taking delivery of some new trees over the coming weeks / months so be sure to check out our outdoor bonsai page. We are very please to announce that we have finally taken delivery of some much needed supplies. We have been out of these items for a little longer than we'd have liked. Our supplier has manages to get more of these much needed items and the shop is now fully stocked up again. The items include Japanese Folding Saw, Kiyonal Wound Sealant, Potting Mesh, Camelia Oil, Japanese Rectangular Turntable, Japanese Soil Scoop Set. We also have some brand new dry goods to list to the website over the coming days, so be sure to check in with us again soon to see the new items that will be available. It's been a month to the day since our last blog update and what a month it's been. We've had so many different things going on. Since our last blog we've had a major clean up in the garden. This time of year lots of grime and dirt can accumulate around the benches and floor space, so around this time of year we have a major clean and tidy up. Nice clean and open bench space makes things a lot easier and the trees appreciate growing in a clean environment. We've also been adding some new items to the website with much more to come soon. 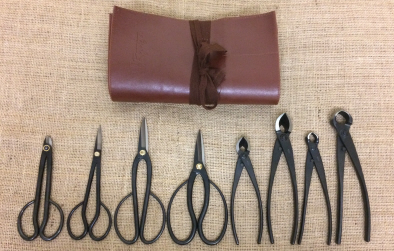 We are very pleased to now be offering a few new budget tool kits ideal for beginners or people on a budget. 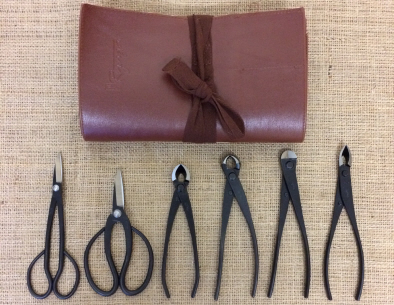 We are also now offering full set of Ryuga carving tools with free tool roll & worldwide shipping. 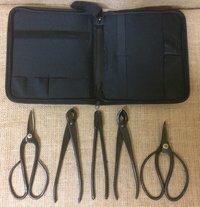 We are almost ready to add various other Ryuga tools kits to the website so watch this space. These will be tailored for different needs. 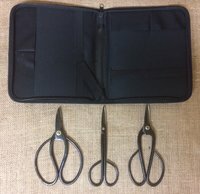 We will be offering sets in both stainless steel and black carbon steel. 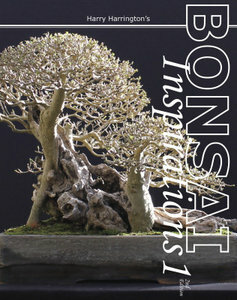 We will have shohin kits, scissor kits, kits for medium trees and kits for large bonsai trees. 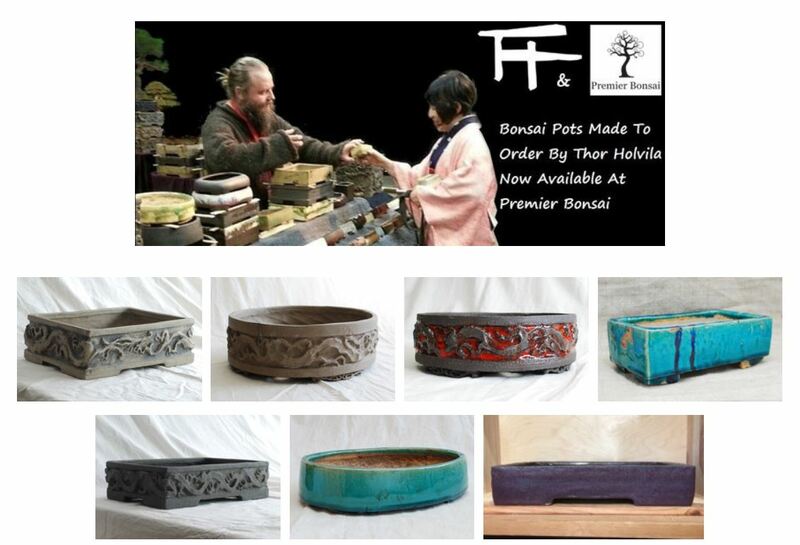 We have also taken delivery of the new batch of Thor Holvila bonsai pots and they have been going down very well. More to come very soon. 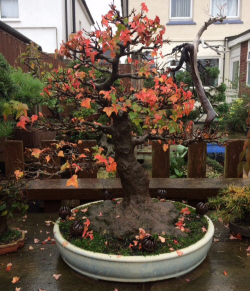 We had a fantastic opportunity of getting our hands on a superb Acer Buergeriaumn (Trident Maple) and have been eagerly anticipating it's delivery. It arrived in the garden yesterday and to say we are pleased is an understatement. 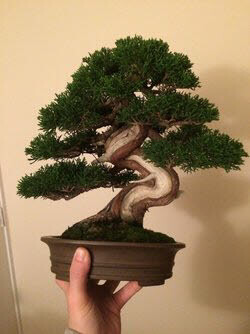 The tree was originally from Taisho-en in Japan before being imported over to Europe about 4 years ago. 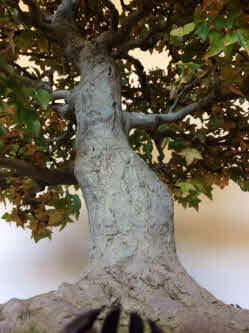 The tree stands 58cm tall and is about 56cm wide. 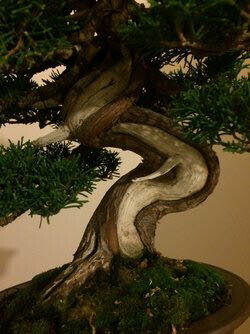 The tree supports a huge butterss style nebari, Nice subtle trunk movement and nice branch placement. This tree will remain in our private collection for the foreseeable. 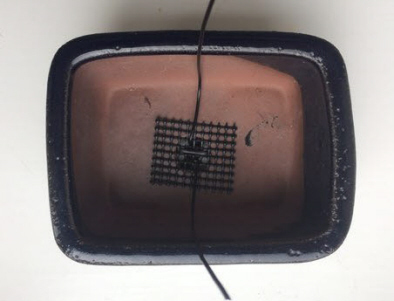 Here is the second part of yesterdays guest blog post by Harry Harrington. 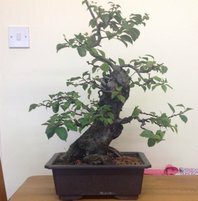 Another 'throw-away' Ulmus procera/Field Elm bonsai, created 6 years ago from a stump, cut off the base of my Elm airlayer from the book Bonsai Inspirations 1. 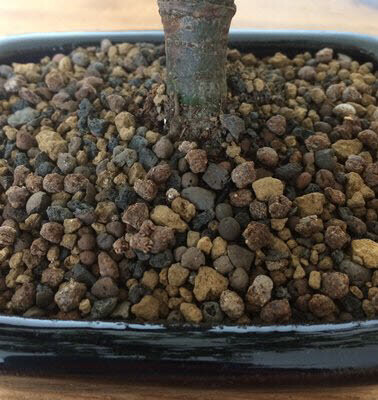 The stump still had live wood when I cut it from the base of the airlayer, so I threw it into some soil and not surprisingly given how strong this species is, it rooted and threw out new shoots. I grew out some trunks, hollowed the stump and planted the tree onto a slab made by Victor Harris of Erin Pottery. Since then, I've simply pruned it to shape for the past 3-4 years! We have a couple of new little trees on the way to the garden, collected and developed by Harry Harrington. Both of the trees are Ulmus procera/ Field Elms. The guest article by Harry Harrington goes to show there can be potential in almost any material if you're willing to put in the time and effort needed. It's also inspiring and amazing to know this first little tree was growing in a 1 inch pocket of leaf mould. Simply amazing! We are very much looking forward to receiving these lovely little trees. Collected in January 2011, this tree was a hopeless case from the offset! I found it by the side of an old bridge where it, and a number of other Elms, had been growing in thin 1" layer of leaf-mould. Workmen had cleared the bridge, pulling up metres of Elm roots, each supporting a number of suckers such as this one. I... honestly don't know why I even bothered bringing this and half a dozen other similar trees home and rooting them! 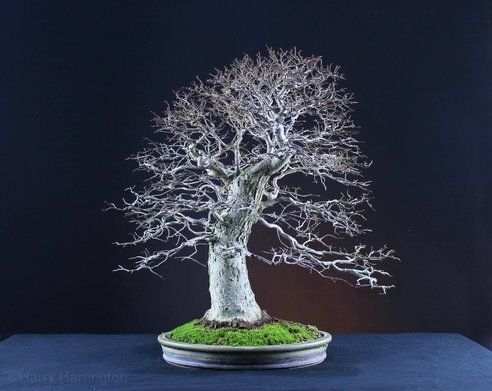 Fast forward 6 years, and the trunk and branch structure have been developed, and the tree airlayered last Summer to produce a decent base, before being planted in this Victor Harris pot. (One of the first I bought from him around 2002). Just 18cm/7.5" tall, with a 3.5cm/1.5" trunk diameter. 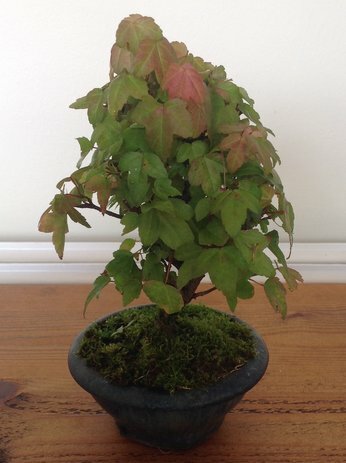 In December we managed to get hold of a very special little bonsai tree. We were originally going to list this tree for sale but since then we've decided to keep in in our garden for the time being. 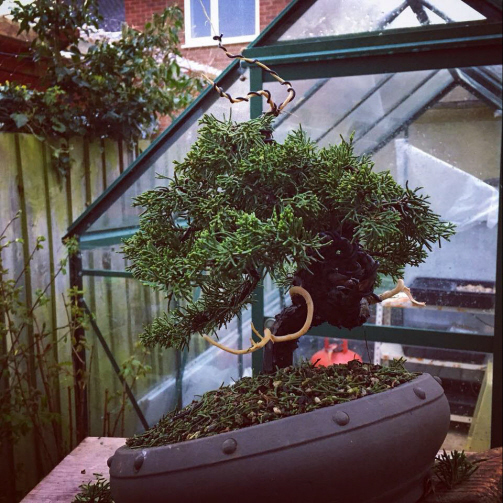 The tree in question is a stunning little Juniper 'Itoigawa' We had our eye on this tree for a good while before we brought it and since it arrived we have had so many messages via email and social media about the availability of this little tree. Sorry guys this is a keeper, for the time being anyway. This kind of tree really stands out to us because it's quite iconic and kind of tree you think of when when hear the word bonsai. The tree was already in pretty good shape when we brought it and so it just needed a little refinement with a few pieces of wire and a little thinning. We've just commissioned a special bespoke pot from our resident potter Thor Holvila. He has been potting some sketches together for us and running ideas by us. We think we have come up with a strong contender. A lovely lava black clay with a very subtle dash of green around the rim of the pot. The pictures show a rough idea of these first thoughts. All being well this pot should be ready by the end of February. 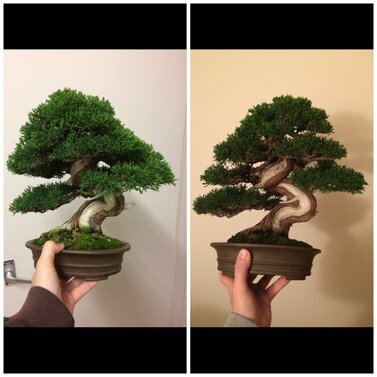 This is a before & after picture of the refinement work we did after the tree arrived. More detailed picture of the work completed and more details of the amazing trunk. We're almost at the end of the second week of January and things have been very manic in the bonsai garden & workshop. We've been packing orders non stop since Christmas. We had ran out of some essentials so we had to put in an emergency order of new stock to replenish sold stock. 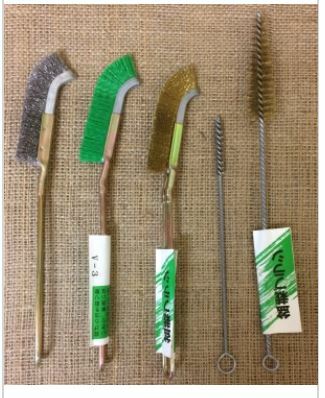 We have managed to get hold of some very nice quality Japanese bonsai tools. 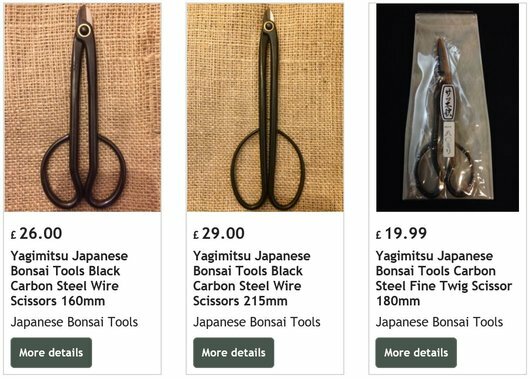 These Yagimitsu bonsai tools are made from high quality Japanese steel. 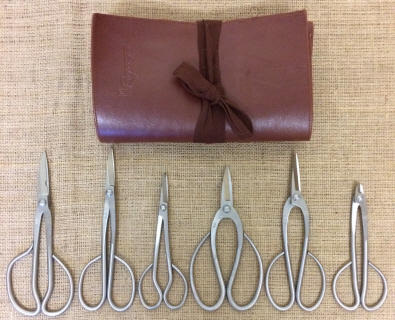 Just holding them in your hand you can feel the very high quality of these amazing tools. 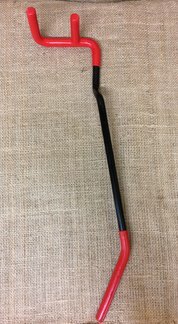 We have some in black carbon steel and some in stainless steel. We don't have the whole range that's available yet but we are aiming to stock all of these amazing tools in the near future. Here is what we have so far. 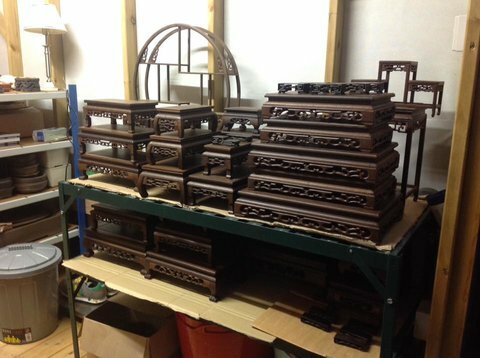 After a well earned day off on the 1st January we got back to the mountain of orders we had to prepare for shipping. By early evening on the 2nd we had caught up with all the orders we had to get out. It was nice having a few days off over the Christmas period but i must say it's great getting back into the flow of things, packing orders for our customers and tending to the trees. We have something of a special pot now available to pre order. 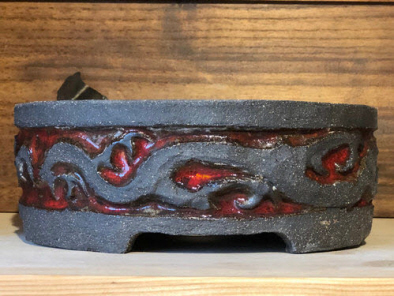 This is a Nidhogg dragon pot by Thor (No-156) and we're very excited about this one. this pot is something of a rarity as the clay used isn't Thor's usual choice and as such we probably wont see another quite like this one any time soon. Please click here for more info about this pot. 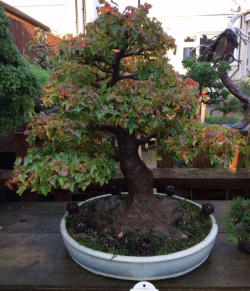 It's been an unusually busy December for us here at Premier Bonsai hence the lack of blog posts. We usually find things get a little quiet in December but not this year. We have been working in overdrive to insure you all received your orders in time for Christmas. After two days off we got back to packing your orders and general website maintenance on the 27th and it seems like is isn't slowing down just yet. We hope you have all been enjoying the Christmas holidays. We have, although eager to get back to work. Well after another busy week in the garden we have finally managed to take delivery of some much needed stock. If you have recently clicked on a product to find it's out of stock, try again as the chances are we now have more in stock now. As much as we always try to keep a steady level of all our items some weeks we find we we get multiple orders for the same items and we quickly run out. We get these items replenished as quickly as possible. 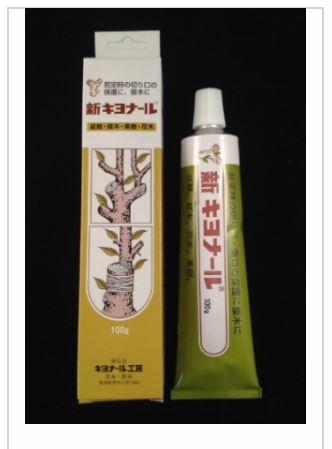 We are still waiting for Kiyonal, Potting Mesh, Camelia Oil to come back in stock. Please bare with us and we'll have them back ASAP. 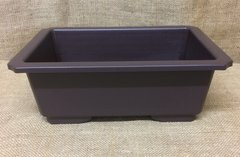 We have also taken delivery of some very nice new pots so be sure to check out our bonsai pots page. It's been a very busy week in the bonsai garden, lots of cleaning and tidying. Yes it's that messy time of year when all the leaves are falling and making a mess of our lovely benches. We have had a visit by Bonsai4me.com's Harry Harrington to drop off a couple of our trees and help style one of our larger White Pines. 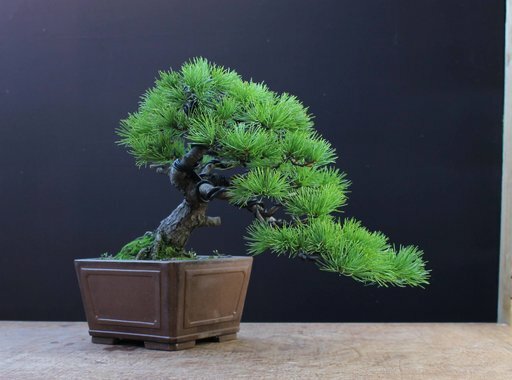 These trees have been listed on the website for a while and we've decided to make the most from them and get them into better shape to show you what can be done with the sorts of imported trees we get in from Japan. 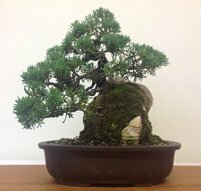 So we have just listed three new White Pines to the website, each very unique and full of potential. 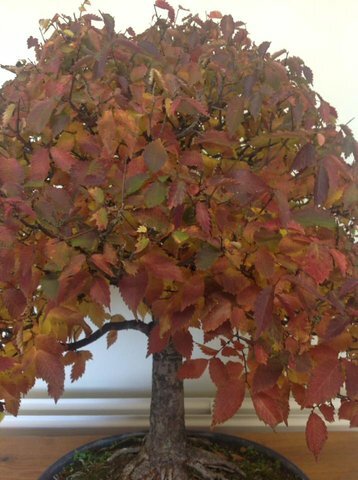 Please contact us for more information regarding these stunning new trees. 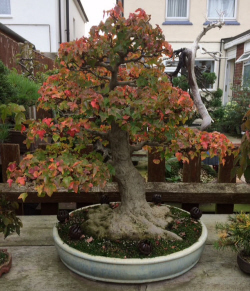 It's fair to say Autumn is here and it is truly one of the most beautiful times of year for deciduous trees & bonsai. Some of the fall colours this year have been truly breath taking and they seem to have lasted a long time. 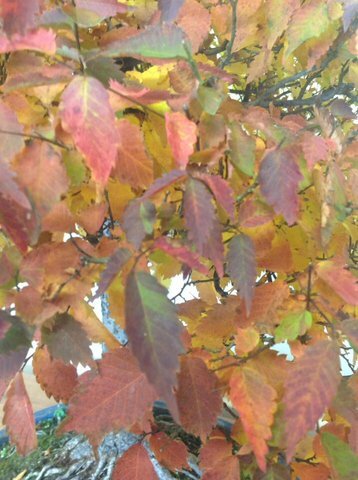 We have a large Zelkova in the garden at the moment and the colour has been changing daily over the past couple of weeks. We thought the colour was as vibrant as it was going to get but it keeps getting brighter and brighter. Keeping the trees in full sun during the summer months should help create brighter fall colours. 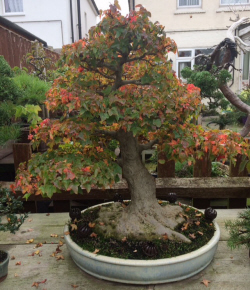 We love this time of year here at Premier Bonsai. Well after a seriously busy month we finally had a couple of slower days and that gave us the chance to have a much needed sort out in the workshop. It's amazing how messy things can get after weeks of packing orders and working on trees. 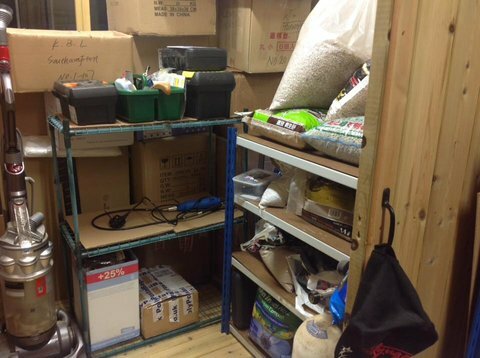 Before the clear out and tidy up i couldn't even get into the back room of the workshop as it was full of boxes for packing orders, they were literally stacked from the floor to the ceiling. So we spent the first day in the back room flattening boxes and clearing out things we didn't need. The second day consisted of building new shelving and sorting through some stock. The new shelving really did it's job and has made a huge difference to our workspace. The workshop is for now very clean and tidy. Just how we like it. 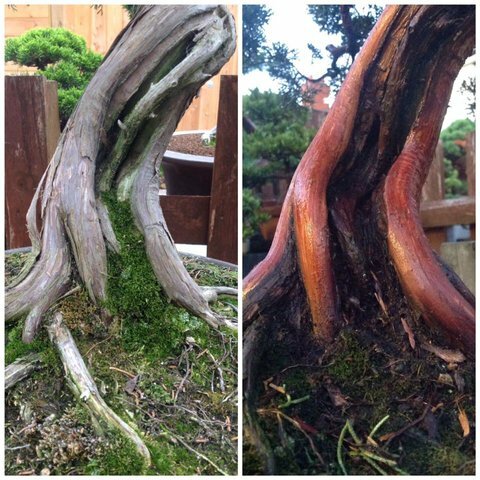 We've been working on this amazing little yamadori Sabina Juniper in the bonsai garden today, cleaning off the old flaky bark to reveal the stunning red colour underneath. We have also applied some Lime Sulphur to the deadwood to bleach it White and help protect the deadwood. The Red & White really contrast well with the green foliage. 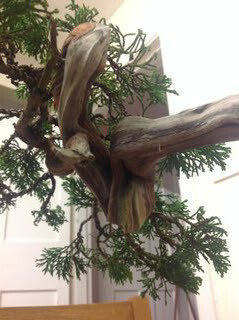 There is something magical about these Yamadori Sabina Junipers. You can just tell the amazing trunks on these little trees are all natural and shaped by nature. These shapes just can't be recreated by man's hand or wire. The twists and turns in these trees are truly unique and so natural looking. This little tree is going to be fantastic within a few seasons once the tree has been refined with some fine wiring and once the pads start to fill out. The pictures really don't do the tree much justice. You can literally spend a ages looking around this tree viewing all the twists, turns and curves in the trunk. Truly a delight to work with and a pleasure to view. 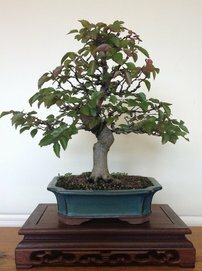 We have just uploaded a few new trees to the website. in this batch we have a very nice quality Japanese White Pine, a Pyrocantha (Firethorn), a cascade Satsuki Azalea, and a couple of nice Korean Hornbeams. We hope you enjoy looking through them. Click the picture for more info about these new trees. 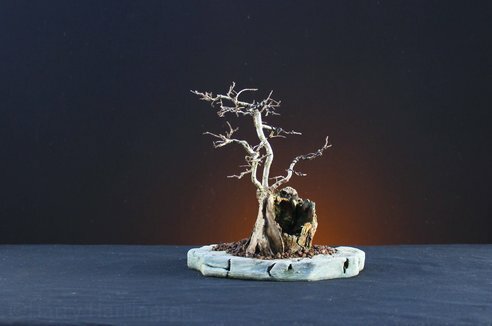 We have just added a couple of new small trees to the website. We have two Trident Maples (Acer Buergerianum) and a lovely little Chinese Elm (Ulmus Parvifolia). We will have a few more trees added to the website in the coming days. Click the image for more info. 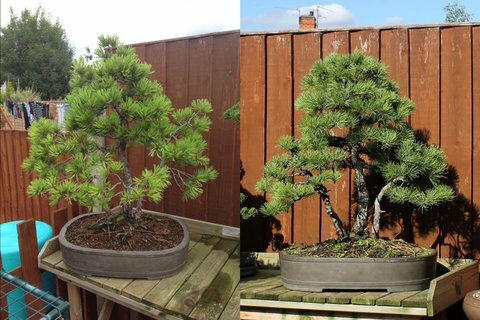 We have just had one of our Pinus Parviflora (Japanese White Pines) styled by Harry Harrington. 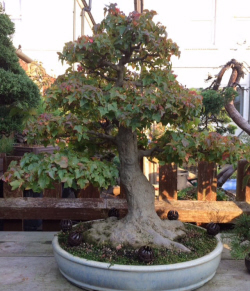 This is an amazing tree and was previously listed for sale on our website. 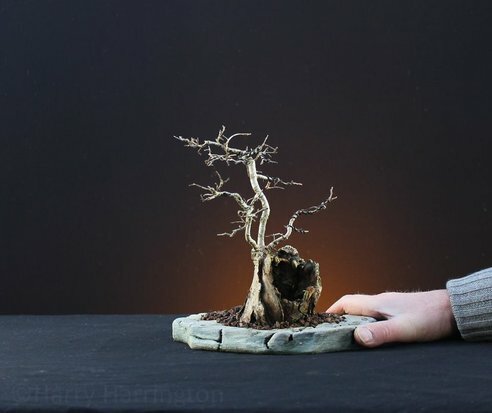 I am pretty glad it didn't sell as Harry had created a really stunning little tree. I has amazing taper for a pine. You don't see too many with taper like this one especially with such a straight truk. 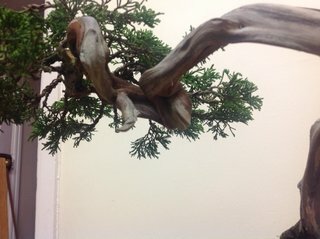 Also the Nebari is incredible, very uniform and even around the whole tree. The tree was meant to be re listed back up for sale but I am having second thoughts at the moment. The lowest branch on the right is not apart of the design and will be removed in the future. For now the branch will be kept for the health of the tree. 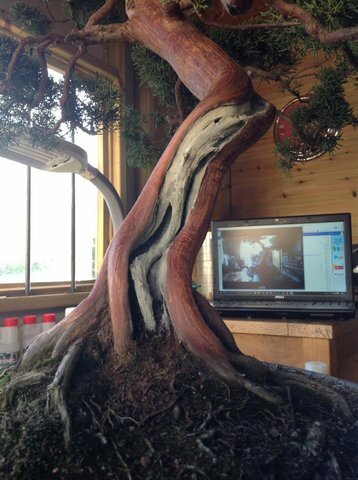 Ungrafted Pines need to we worked a little more gentle than the usual grafted White Pine varietys used for bonsai. 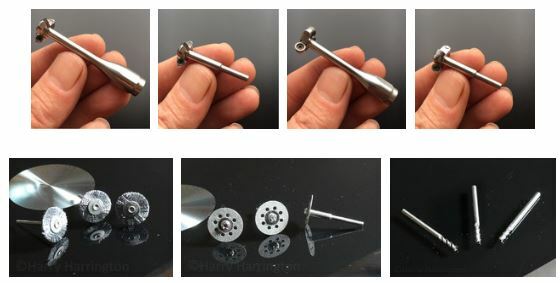 The pictures below show what can be done with some of the kinds of material we stock and sell. The transformation is amazing and the tree will continue to improve further over the coming seasons. 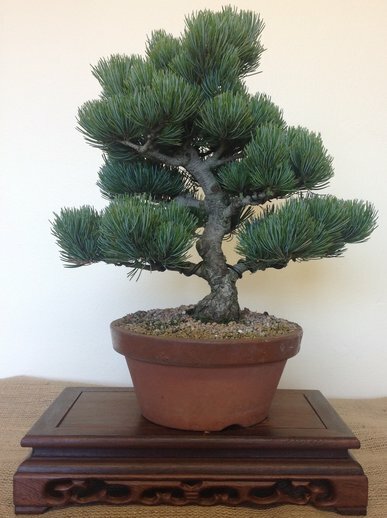 We have a few new small trees to list on our website over the next few weeks. If you see anything you like and don't see it listed for sale yet, please get in touch and we will gladly give you a price. Species include Largerstromia, Trident Maple, Chinese Elm, Hornbeam and Firethorn. 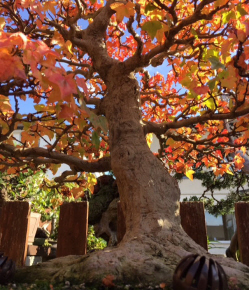 We have just had this amazing Zelkova Serrata arrive in the bonsai garden. The tree is a Japanese import and is much bigger than the pictures make it look. You don't see too many of these especially this size and quality. 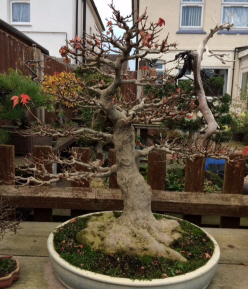 Given a few seasons this tree could be an amazing specimen quality bonsai tree. 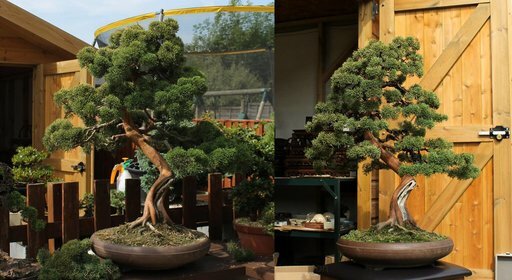 We are truly thrilled with some of the trees that have passed through our bonsai garden in the last 2 years. This is all made possible by you our customers and your ongoing support. So thank you for your support over the last 2 years. We will continue to bring you the very best products and service. Well after a very busy summer in the bonsai garden we are very pleased to have some of our biggest projects under way. 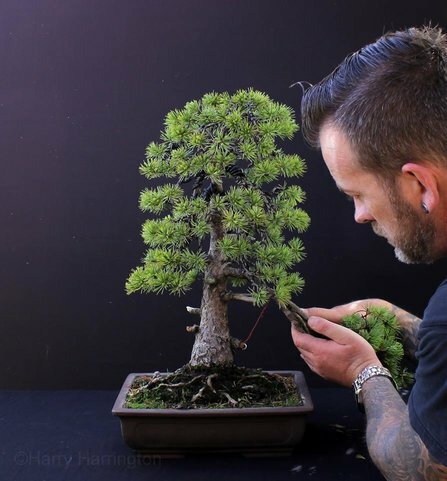 We have been working close with Bonsai4me's Harry Harrington on some of our larger trees. As usual Harry doesn't disappoint and has helped get some of our trees on the right path for development. 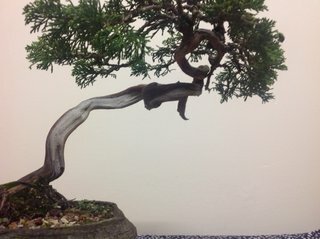 We spent close to 30 hours on this Shimpaku Juniper. It has been a long road with lots of planning, prepping and most of all wiring. This tree sure has a bright future now. It might come up for sale in the near future but we are not sure yet as it would be nice to keep for our personal collection. 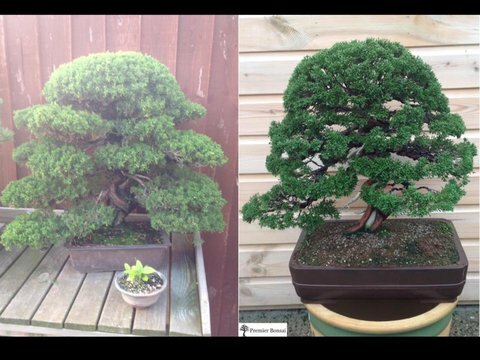 It's been a very busy summer for us at Premier Bonsai and since having our new website up and running business has been great. Our variety of stock has grown from strength to strength. We would like to thank our customers for their ongoing support and helping grow our business. We absolutely love doing what we're doing for you guys. We love to meet and network with like minded individuals. 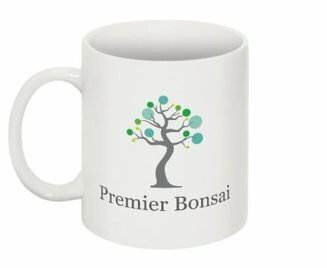 We know were not the biggest bonsai nursery but we're determined to be one of the best and in time we're sure our business will grow into what we're hoping for. We have met some great individuals on our journey and made some great contacts that will help our business become unique and stand out from the crowd. 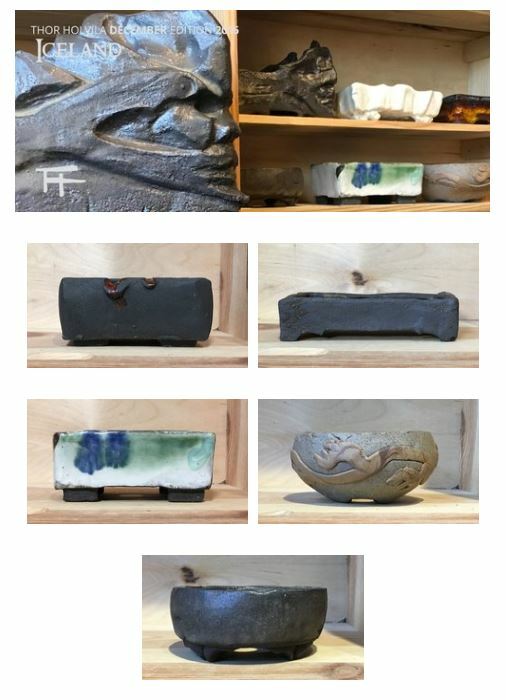 Our resident potter Thor Holvila releases his amazing bonsai pots every month in editions. We very much look forward to seeing what he brings us each month. There's always a pleasant surprise where Thor in involved. 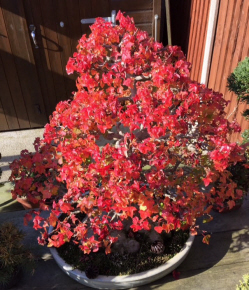 We also have regular visits to our bonsai garden by Bonsai Inspirations author Harry Harrington, who helps get some of our raw material onto the right path before they are offered for sale. 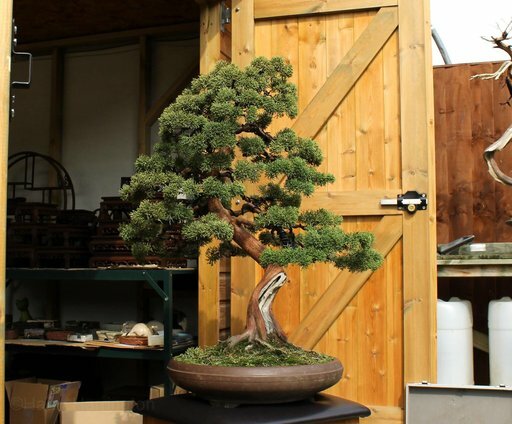 His work sure does bring what his books say 'Inspirations' We like the idea so having some trees the next stage up from being plain raw material as we know it's not always easy for the less experienced bonsai artist to fully see the potential in a piece of raw material. 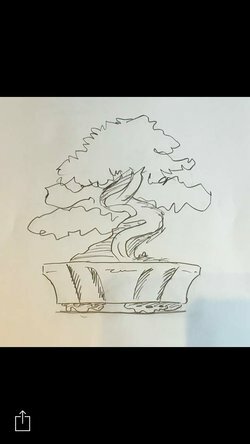 So we think having some styled / semi bonsai trees in our range might encourage the less experienced artist have the confidence to buy a tree that they wouldn't normally look at twice. 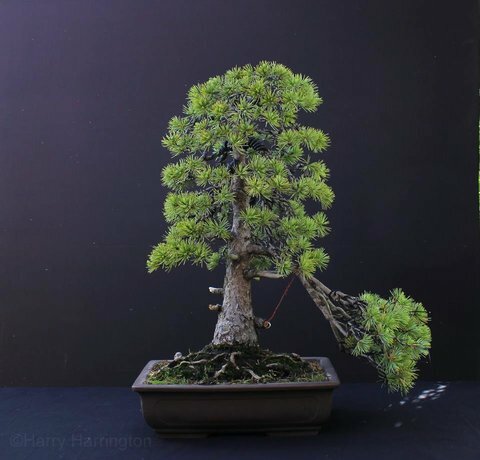 We think it's much easier for beginners to the hobby to see where a tree needs to end up in the years after purchase after it's had it's first initial styling. 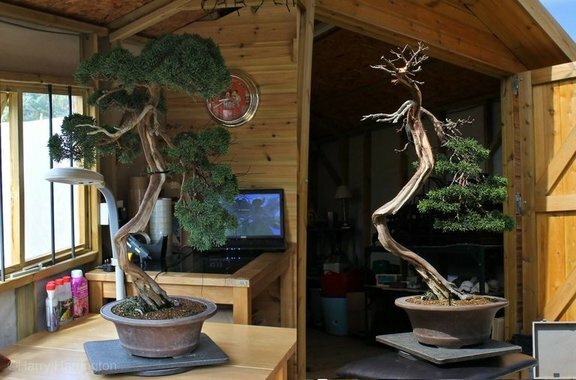 Looking at raw material can be very overwhelming if your new to bonsai. Our selection of trees are growing in variety and quality. 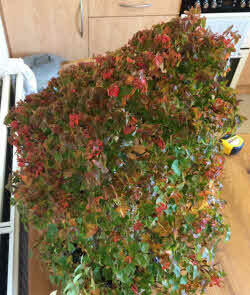 Our trees are all hand picked and are of the very best quality in the price ranges we offer. We have Harry helping us with a hand full of larger Junipers and Pines this year. More coming throughout September & October. We're running a special offer until the 30th September. 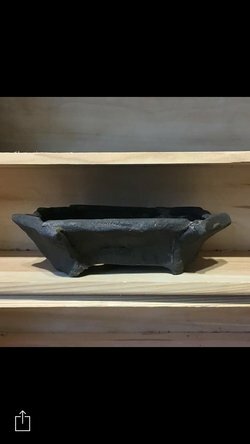 Buy two or more Thor Holvila bonsai pots and get free worldwide shipping. 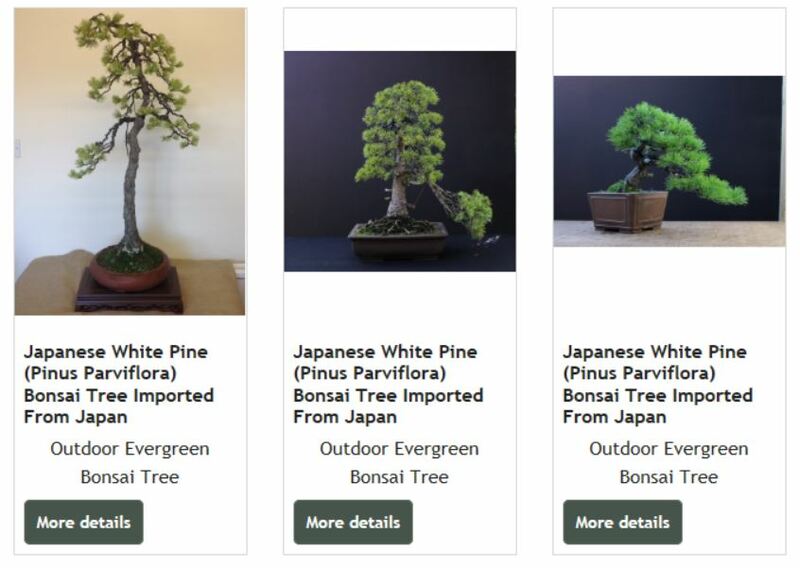 Email us at premierbonsai@hotmail.com before you order and we'll adjust the shipping price on the website for you to receive free shipping. Chick here to view our range oh Thor Holvila Pots. 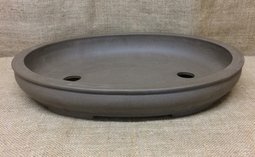 The latest batch of Thor Holvila bonsai pots are fresh out of the kiln and we are pleased to tell you we have a couple of these unique one off pots on the way to our garden. This months edition is called Small Conifers and they are typically unglazed pots made from roof tile red clay. These pots are proving very popular at the moment and we have been sending them all over the world including USA, France, Germany & Belgium & Holland. We are the only bonsai nursery in the UK to be stocking these amazing bonsai pots by Thor Holvila. Click Here for more info.